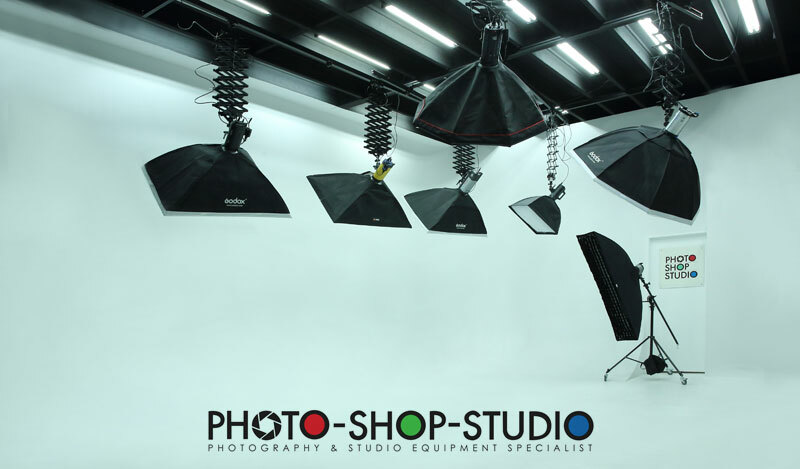 Photo-Shop-Studio is proud to announce that our brand new studio is completed and ready for hire. We would like to advise that bookings should be made well in advance to ensure that you can receive the time slot that you require. Please download this form [CLICK HERE TO DOWNLOAD] and fill it out/ return to us and email to info@photo-shop-studio.com.au with the email subject STUDIO HIRE. Alternatively you can also submit this form in-store. To print this form, you can right click using Google Chrome and select "Print" to print file. Please call us on 02-9797 2800 after you have sent the email to confirm we have received it. Once we receive your phone call, we will then confirm booking and process deposit payment. Below are the standard studio hire rates for our studio. Prices are bare space only, defined as the white cyclorama walls only and makeup area (equipment not included - this includes any equipment such as light stands, tripods, mounts and coloured backdrops) and exclude GST. Please see below for lighting equipment hire. Coloured backdrops are available at an extra cost (please inquire). Prices effective from July 1 2015. Equipment hire is added as separate cost. Other equipment such as light stands, boom arms/ stands, tripods, coloured backdrops are available for hire upon request at an additional cost. Photo-Shop-Studio requires all studio hirers to fill out and submit a studio hire application form as well as make a payment to confirm the studio booking. 20% deposit is required at the time of booking. 50% deposit required if you book 3 days prior to date of hire. If cancellation is made 48 hours or more prior to booking date, a refund of your deposit less 5% will be given for service charges. If cancellation is made 48 hours or less prior to booking date, no refund will be issued. Please read through the terms and conditions on the bottom of the booking form. When you sign you agree to abide by the terms and conditions outlined in regards to payment and use of premises, which may be subject to change without prior notice.